For use on non toxic hazards only. Comfort Face Mask (50 Pack) is rated 3.2 out of 5 by 16. Rated 4 out of 5 by Jimbob77 from Good for the price Very good for value for the price. Rated 5 out of 5 by Ger111 from Good price Excellent everyday disposable face masks. Rated 1 out of 5 by fixerjoh from Useless Product Totally unfit for purpose. Each mask I tried to put on immediately snapped at one end where the tying joins the mask. Also the aluminium nose clip separated from the mask. Rated 1 out of 5 by Kits from Not of the quality expected I bought these recently and found them to be of a lower quality than expected of what is basic nuisance dust level safety equipment The elastic came off the first as I removed it from the packet. The metal nose band of the second detached as I was starting to fit it in fact it fell on the floor. Then whilst fitting the third, the elastic detached at one end. So I carefully removed a fourth and tenderly nursed it and yes got it over my face adjusted it carefully but it did not appear to offer any seal (eg whilst inhaling/exhaling the filter did not offer any resistance etc). The filter fabric is quite flimsy. I really do not feel that these offer any use in anything other than the mildest work environment where you might be casually exposed to say grass cuttings. You cannot remove them for say a cup of tea and then expect to refit it (tried it and the mask falls apart). 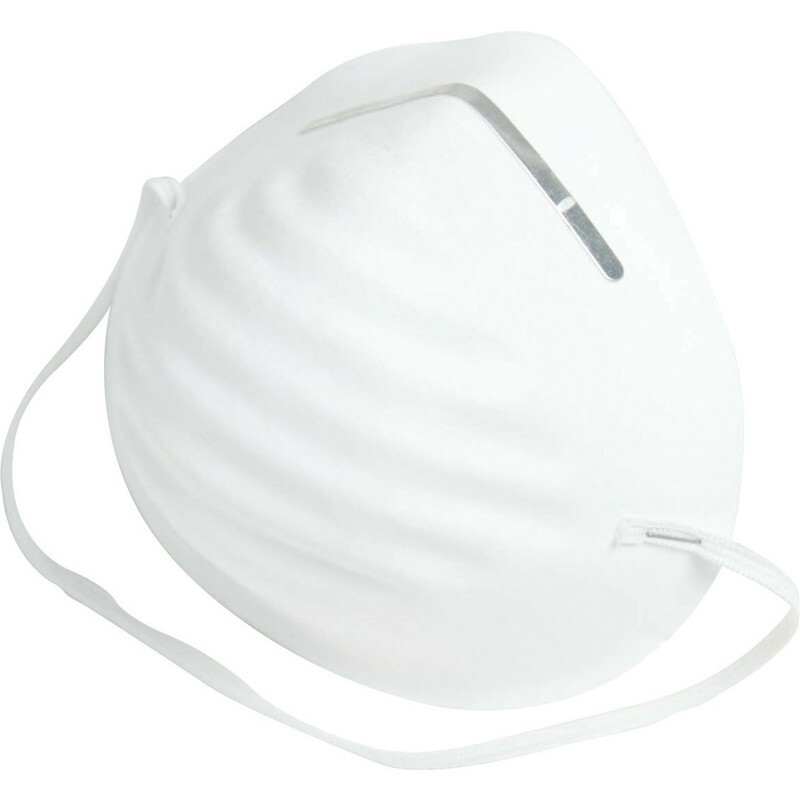 I appreciate that this is a low cost product and did not expect high performance just a basic functional precautionary mask; however I feel that Toolstation should carefully review the product quality. Rated 4 out of 5 by m4xwl from Great value Used a couple of them working in a loft full of glass wool insulation. Stopped it catching in my throat. the metal strip helps you shape it to the bridge of your nose, but could do with being a bit thicker, to hold its shape better. I had to keep adjusting it to stop misting my glasses, hence the 4 out of 5. Rated 5 out of 5 by EckyJ from Handy Masks. These are cheap masks but they really worked for what I needed to do. Once used I could dispose of them. Good handy product.